We somehow ended up with a boatload of bananas this week. Call it an online order gone wrong — or right. It’s a good thing I happen to find bananas extremely handy. I tend to keep a cluster of them in the freezer for smoothies and another on the counter, just waiting for them to brown enough for the following recipe. 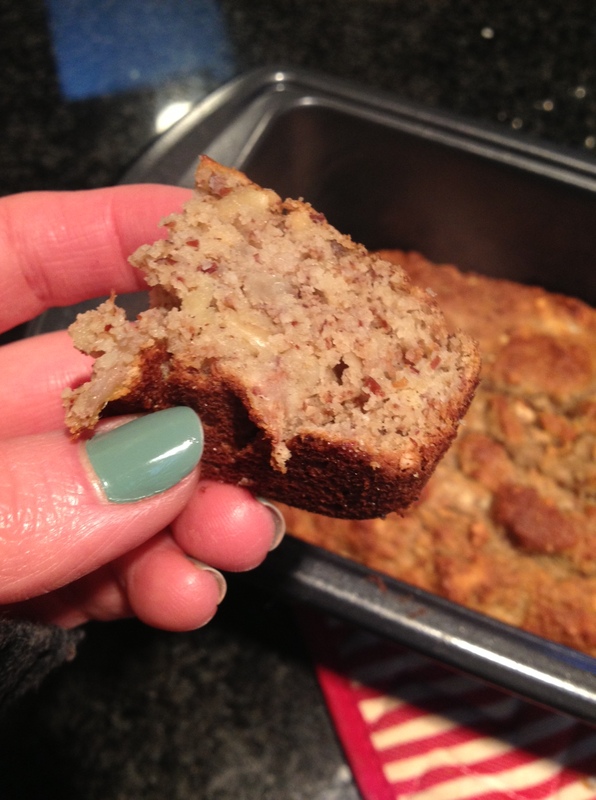 I first made this banana bread in the winter when I was on a more intense cut-the-grains kick. 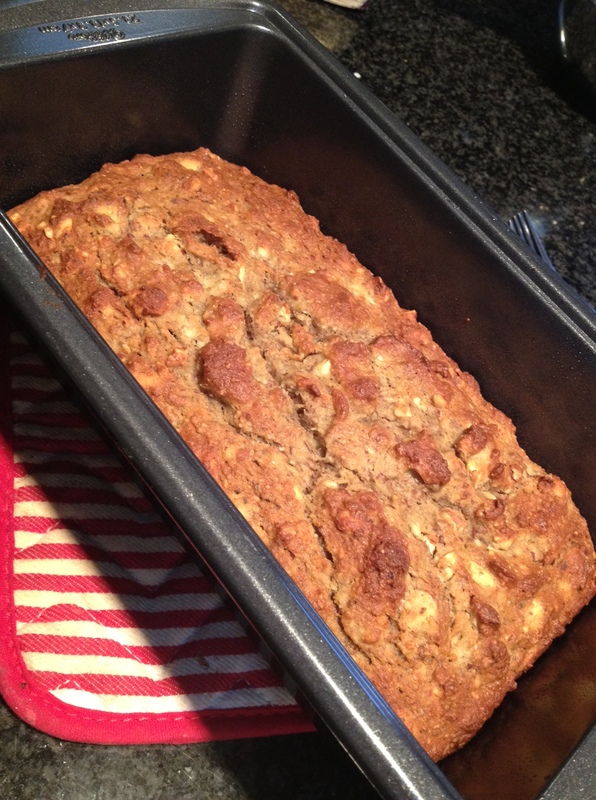 That’s right, it’s a grain-free banana bread, people, made with a mix of almond and coconut flours. But it’s not overly dense and is so very “m-word” (OK, I prefer to avoid saying moist, but I guess I can write it. I just do not like that word.). Even though the grain-free thing has ebbed and flow (it is summer and sometimes my burger needs a bun), this recipe has pervaded the seasons. That may be because it is the perfect breakfast-snack-dessert to have on hand or to pack for a camping trip. Or because my husband has taken over making this recipe (read: it’s an easy one) and does so often. It’s become part of his near-weekly routine to churn out a couple pans of this stuff, and I do not protest. The only real problem with this bread is that I can’t stop eating it, especially when it’s hot, despite that fact that it’s far more filling than regular bread and leaves me sufficiently stuffed. 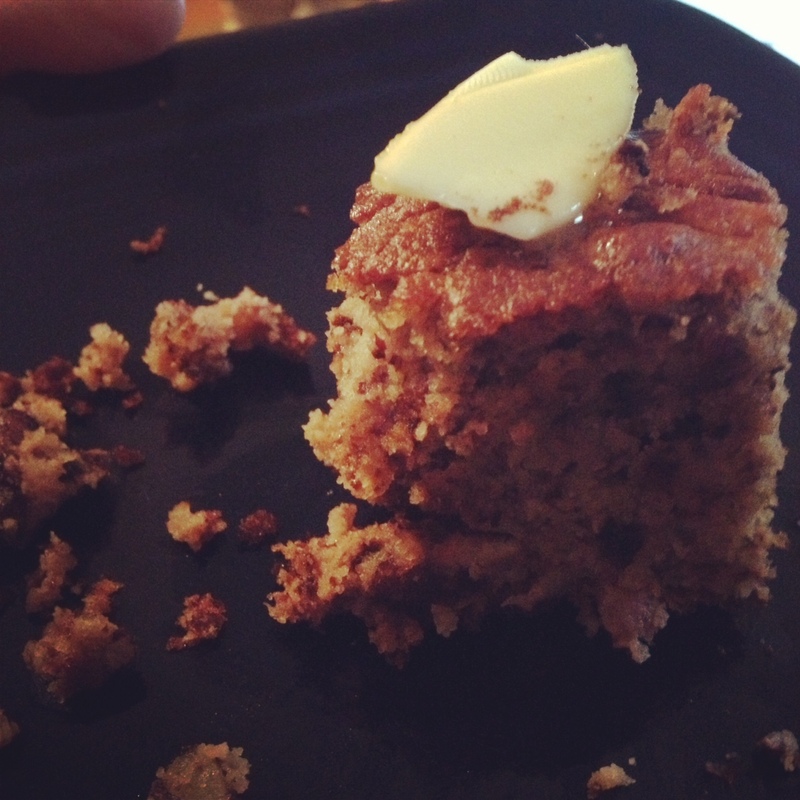 And my husband tends to add chocolate chips, which makes said problem even more of a problem. C’est la vie! 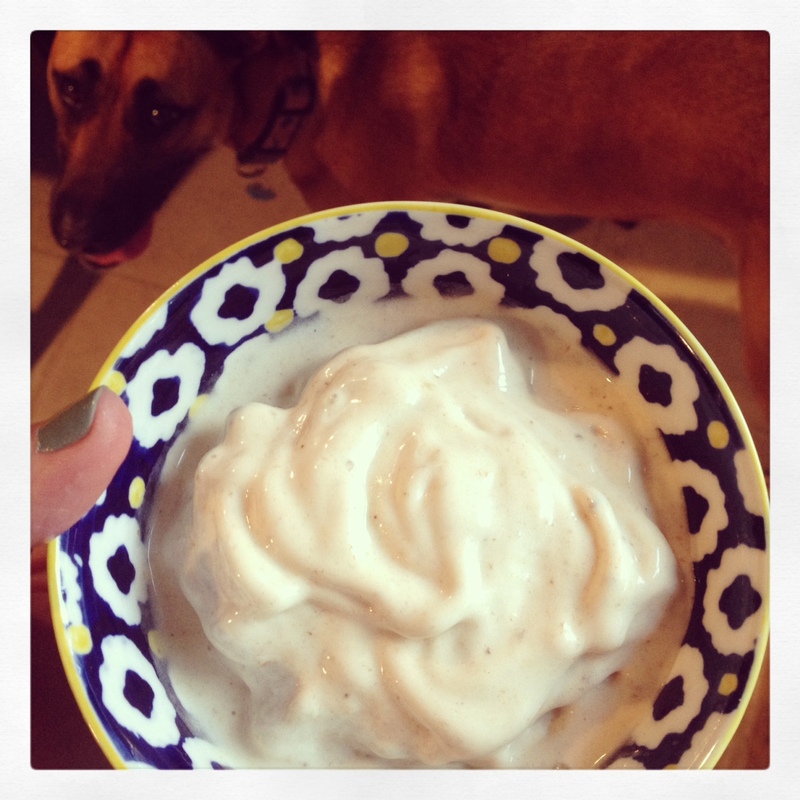 I originally adapted this recipe from Comfy Belly. This recipe makes one loaf in a 5×8″ pan and can easily be doubled to make two (which I would highly suggest). Blend all the dry ingredients together using a fork or KitchenAid. Add the wet ingredients together, blend well, and then mix them into the dry ingredients. I use a mixer to make sure the batter is well blended. Oil or butter the baking pan. Pour the batter in, smoothing out the top. Bake for 40 minutes, or until browned and a toothpick inserted in the middle of the bread comes out clean. Let me know what you think! And share your own favorite grain-free bread recipes. If you still have extra bananas, I say peel ’em, freeze ’em and turn them into smoothies or “breakfast ice cream” with peanut butter and coconut or regular milk. It will help you fend of the summer ice cream cravings (if you can fend off the on-lookers). Thanks for sharing it. I have some bananas on hand. Can’t wait to try this weekend.